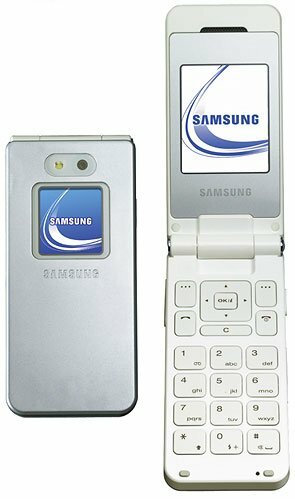 Samsung E870 tri-band mobile phone supports GSM 900, GSM 1800 and GSM 1900 that features 1.3 megapixel camera, 176×220 pixel resolution and 256K colors TFT LCD for external screen, 96×80 pixel resolution 65K colors TFT LCD for internal unit, Polyphonic (64 channels) and MP3 ringtones support, Class 10 236.8 kbps EDGE, 80MB of on board memory, microSD expansion slot, Bluetooth and TV output. Tech Digest reviews Samsung E870 and concludes that in a nod towards the more businesslike consumers, it is equipped to deliver and receive email, and also includes a document viewer. This is slightly bizarre, bearing in mind how low spec it is in other areas – will anyone actually use this? Apart from this, there really isn’t a lot more you could say about the phone. It’s definitely a case of style over substance, but what it does do, is done simply and without a fuss.